Vic and Tom both decided to put a decorative inlay strip into their guitar backs. 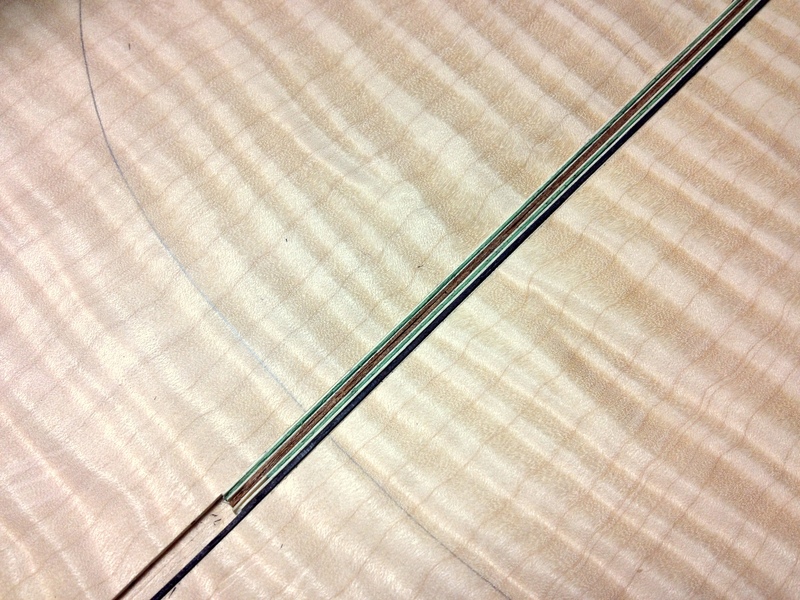 The design of this inlay strip should be related to the rosette. In Vic’s case he used the same colours as in the rosette, and after he rearranged the veneers a few times he decided on the composition that suited his taste best. This work is a bit like the art of arranging a bouquet – neighbouring veneers affect each other significantly. For example, a white veneer beside a red veneer will make the red look cool and almost pinkish. If one put a yellow veneer beside the red veneer instead, the red veneer would appear warmer and slightly orange to the onlooker. Also the thickness of each veneer strip plays a big role. 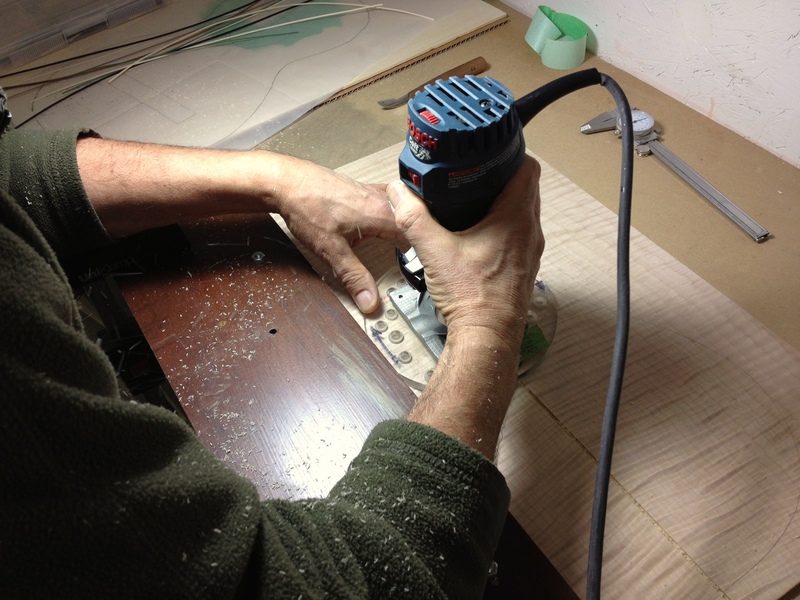 This all relates to one of the pillars of custom instrument making – every single detail on a custom handcrafted guitar is created by its maker. The degree of customization can be extremely high, hence luthiers are often referred to as artists. Which in my view is quite appropriate.